On April 23, 1985, Coca-Cola, that icon of American soft drinks, one of the symbols of what stands for America, changed its formula! A mistake of epic proportions, eventually Coke had to bring back “Coca-Cola Classic.” As idiotic as the decision may seem in hindsight, Coke had good reason to change the formula. Pepsi-Cola had steadily been gaining market share, and blind taste tests proved that people preferred the sweeter Pepsi, and that people preferred an even sweeter alternative. Still, even Fidel Castro was upset with the New Coke! At times, otherwise smart executives make bad decisions. Here are 10 of the most famous blunders by business people or corporations. 10. George Foreman Grill, Hulk Hogan. Hulk, properly known as Terry Bollea, made the massive blunder of choosing to endorse a blender instead of the table top grill that became the incredibly successful George Foreman Grill. Foreman made a fortune endorsing the grill, and the Hulkster did not. 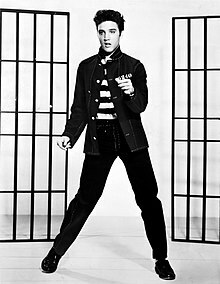 In 1954, Elvis auditioned for a singing group called the Songfellows, which shortly afterward should have changed their name to the Sadfellows because they turned down Elvis for the job. Amazingly, Elvis was also turned down for a job singing with another band shortly afterwards. 8. Alternating Current, Thomas Edison. One of the greatest thinkers of all time, Edison missed the boat on this one, insisting on backing Direct Current electrical systems and spending a fortune on the “electrical war” while the country decided whether to go AC or DC. 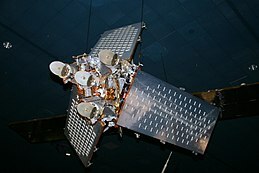 In 1998, when it should have been blatantly apparent that cell phones were taking off in a big way, Motorola invested heavily in the Iridium satellite telephone system. Already obsolete because of the success of cell phones, Motorola lost $8 billion on this foolish venture. 6. DOS, Seattle Computer Products. It is hard to believe that as recently as 1980 the state of the art with computers was so primitive compared to today, but it was, and Microsoft was a small mostly unknown company. 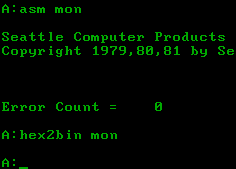 Microsoft bought the computer operating system DOS from Seattle Computer in order to provide IBM an operating system they had contracted Microsoft to design. Sale price, $50,000! Of course, the real value is probably closer to a billion dollars or more, especially as this deal is basically the one that launched Microsoft on its way to supremacy of the computer world. Feeling like they were cheated, Seattle Computer sued Microsoft in 1986 and had to settle for an additional $1 million. 5. Babe Ruth, Boston Red Sox. After the 1919 baseball season the Boston Red Sox owner sold the rights to George Herman “Babe” Ruth to the New York Yankees for $100,000 and a $350,000 loan. Why would they do that when Ruth had been racking up stellar years as a pitcher and had just emerged as the premier hitter in baseball? Apparently to finance a play. Today we do not know for sure, but we do know this was the most famous and most disastrous sporting business blunder of all time. Back in 1803, Napoleon I made the decision to try to hold on to Haiti and sell the Louisiana territory to the United States for $15 million. What he got rid of became 15 of our states and parts of 2 Canadian provinces, worth thousands of times the price paid. Haiti, on the other hand, is a miserable poor country that got its independence from France anyway. 3. Concorde SST, BAC and SUD. A joint venture that was supposed to include France, The United Kingdom and The United States, the US pulled out in 1971 leaving the other two countries holding the proverbial bag. A supersonic passenger airliner, the SST had to fly at a high altitude to efficiently zip along as designed. Unfortunately, flying at 60,000+ feet means serious harm to the upper atmosphere and the ozone layer. Additionally, it was realized that the sonic boom created by the supersonic flight made flying over populated areas unacceptable, and the US forbade such over land flights. 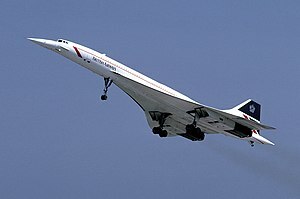 For whatever reason, the French and British governments heavily subsidized development of the Concorde and 20 of the $160 million jets (today’s dollars) were built and operated from 1976 to 2003. Only rich people or those with generous expense accounts could afford to fly on the fast jet. In typical Soviet fashion, the USSR felt compelled to produce their own copycat version, known derisively in the West as the Concordski. 1. The Edsel, Ford Motor Company. The poster child for marketing disasters, the Edsel was supposed to be an upscale car line with several models, all of which became a national joke. Built for the 1958, 1959 and 1960 model years, the Edsel faded into History and Headlines taking millions of wasted Ford dollars with it (almost $3 billion in today’s dollars). Although the car itself was not bad and actually sported some innovative features (such as standard seat belts, self-adjusting brakes, and child proof locks) something about it just went wrong. Maybe the styling, maybe the marketing, or maybe the car gods just decided to make the Edsel synonymous with failure. Feinberg, Mortimer. Why Smart People Do Dumb Things: The Greatest Business Blunders – How They Happened, and How They Could Have Been Prevented. Fireside, 1995. Harvey-Jones, John and Geoff Tibbals. Business Blunders. Robinson Publishing, 1999. Previous ArticleApril 23, 1016: People Used to Have Goofy Names!